One of Australia's most prolific writers is back in Brisbane and she's on a mission to raise awareness of the city's HerStory. Rosa returns with her quick wit and social commentary, revealing insight into the experience of women. 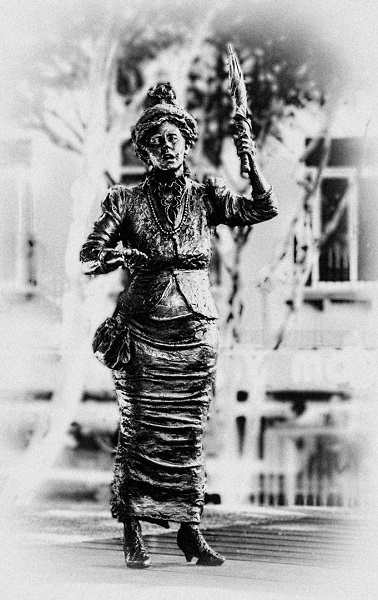 From Rosa's perspective, you will discover many of the extraordinary female characters who have contributed to Brisbane. Learn how challenges were faced and how innovation has been achieved across the spectrum - marriage, science, politics, education, employment and careers, transport, religion, cultural awareness perspectives, the arts. The tour is conducted outdoors with a stroll through Brisbane's streets. Participants are asked to wear comfortable shoes, sunscreen and a hat. Water bottle and umbrella are optional. Rosa is not a standard tour guide. Be prepared to be immersed in this theatrical experience from beginning to end. A great opportunity to take photos. Tours start at the beautiful School of Arts Building in Ann Street, Brisbane CBD.